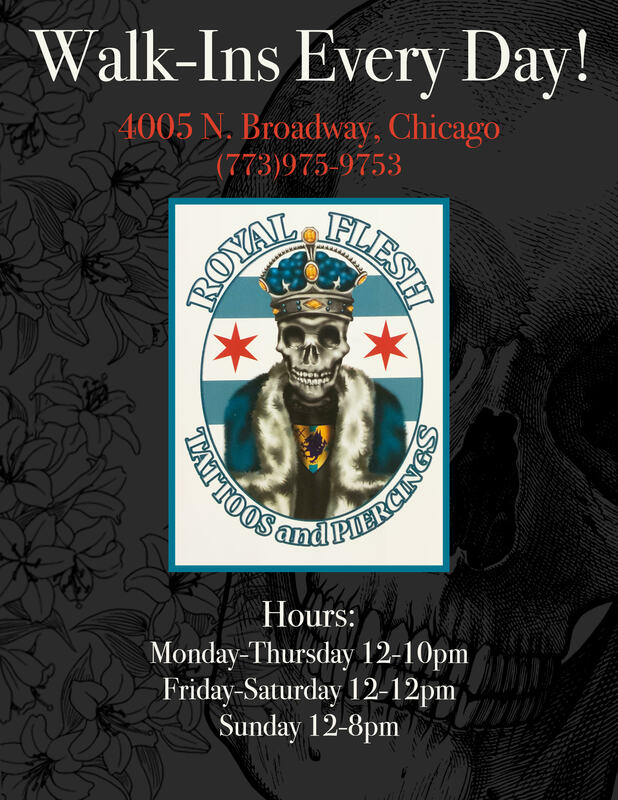 Royal Flesh Tattoo And Piercing-Chicago Tattoo Shops-(773) 975-9753 | A different kind of Chicago Tattoo Shop. We aren't your traditional type of tattoo and piercing shop. We are original on every level; our artwork, atmosphere and attitude. Our mission is to provide our clients with services and modifications that are innovative, unique and custom, through specialized techniques to express their individuality, reclaim their body or beautify themselves. We pride ourselves in providing a clean and comfortable environment, while also maintaining a wide variety of artists and styles. We are intensely loyal to our clients and believe each client’s experience is unique and personal. Therefore, the specifics and details of each client’s modification are not only important to us, but the basis of our quality work and open minded attitude when providing them with personal fine art. but they all FEED from it Creatively! If you look at a list of our Review Sites you will see that we have served Many Clients with great service and affordable pricing. In fact, we have so many returning Customers and their not afraid to express how great they felt when their session was done. Please take a look at our Yelp.com or Facebook Reviews and you will see why so many people are discovering RF as the Choice in Body Modification and Art in Chi Town! We also specialize in working with Cover up tattoo ideas and projects. If you are thinking of covering an old tattoo and making it brand new, Royal Flesh has a cover up tattoo artist that will take great care in giving something that you will be proud of! We know that you have many choices in a Tattoo studio or Piercing places near Chicago, we look forward to earning your trust. Spotlight Video Playlist on YouTube! 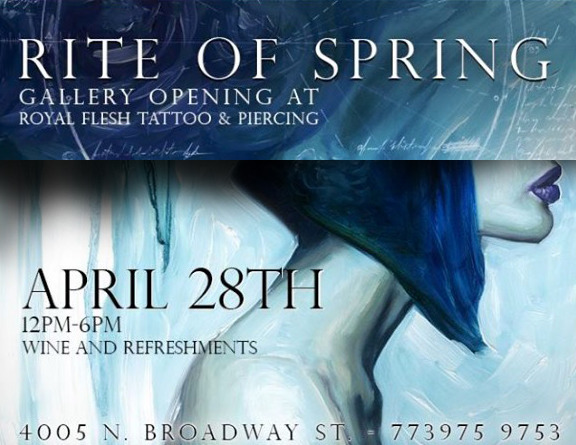 Visit Royal Flesh Tattoo and Piercing's profile on Pinterest.